Not long to go until TSA Shred Week 2019, one of our favourite weeks of the season and again it’s a sell out! 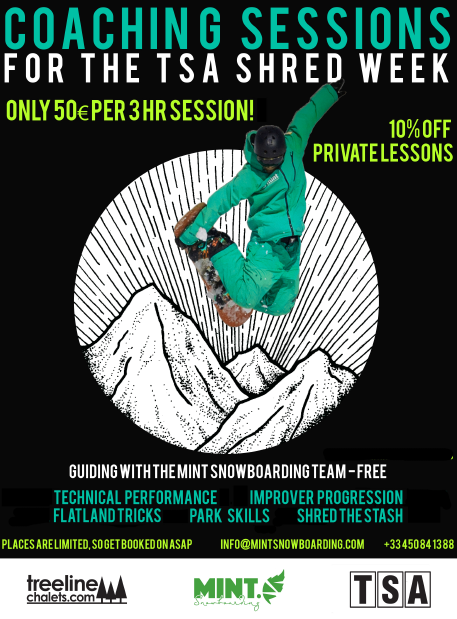 This year the MINT Snowboarding coaching program for TSA Week is even more comprehensive than ever before with the addition of a 5 day freestyle course as well as Kids group lessons. And as ever there is FREE guiding, REDUCED RATES on Freestyle & Technical Coaching Sessions and DISCOUNTED private lessons! Here is what we have on during the week! Shred around Avoriaz with the MINT Team. Whether you are wanting to find the best runs, be shown all the side hits, or explore our favorite areas with us on the mountain, everyone is welcome! Riding groups will be created according to what you are wanting to find! There is no coaching involved in this session. For those who have done a week or two of snowboarding and want to focus on developing technique, building confidence and riding more challenging runs, join us for this session to kick start your week in resort and really progress your riding. Flatland tricks are great fun and spring slushy snow is the best time learn them. In this session we will teach you everything you need to know to master new buttering tricks whilst making them look easy, fluid and stylish. For intermediate & advanced level riders who have had little or no formal coaching. We will focus on specific technical aspects of snowboarding which will change the way you ride and enhance your enjoyment of the mountain. Take your flatland skills further with a progression from the Tuesday session, learn even more butter tricks and link them into combos that will improve your style on the mountain. Have you got park tricks that you want to get dialled before the season is out? Join us on this session to progress your riding on the jumps, rails & boxes. It’s an awesome opportunity to learn some new tricks and gain confidence riding in the park. Join one of our Stash Gurus and learn the skills to riding the different features The Stash has to offer. This session is an awesome end to the TSA week! Price: ONLY 50€ per 3 hr session! Joining this 5 x half day group course is the ultimate way to progress your freestyle riding. We have a limited number of spaces available in the coaching groups in our Freestyle Skills Camp. With 3 different coaching groups running of differing levels, there will be a group to fit your ability and to take your freestyle riding up a gear. Learning within a group for the week will allow you to benefit from a continual progression and development of your skills through the week. As well as this the course will focus on specific techniques to develop your full range of freestyle riding including airs, grabs, rotations, jibbing and buttering, rails, boxes and halfpipe riding. If you have something specific you want to work on then our instructors will focus on these areas so you can progress in the areas you want to develop. Private lessons are a great way to make rapid progress to your snowboarding. Make the most of this exclusive offer and maximise your progression with lessons designed specifically for you. Please enquire for further info and availability for private snowboard lessons in Avoriaz during TSA week. Starting Monday 15th April we have kids group snowboard lessons running in the afternoons for 4 x 2 hr in Avoriaz. We have groups running for kids aged 3 hrs and up and of all levels. Group size and cost depends on age & level. 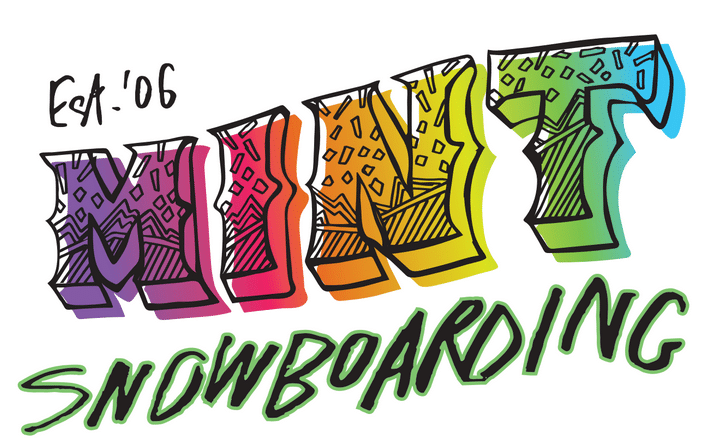 To find out more send us details of your kids age and previous snowboarding experience (enquire here).